As construction lawyers, we endeavor to keep our clients abreast of legal developments that affect our industry. On February 12, 2015, The Florida Supreme Court issued a ruling, in Stacy Sanislo v. Give the Kids the World, Inc., which directly impacts the manner in which exculpatory clauses in construction contracts are enforced in Florida. This is why we chose to write this article. In Sanislo, the Court resolved a conflict between Florida’s five District Courts of Appeal as it relates to the requirements for the enforceability of exculpatory agreements. The First, Second, Third, and Fourth Districts all issued decisions in the 1980s requiring exculpatory provisions to comply with the same language requirements as indemnification provisions. These opinions generally held that a party seeking to avoid its own liability must do so by way of the clear and unequivocal contractual language enunciated in University Plaza Shopping Center v. Stewart. That is, the First through Fourth (not the Fifth) Districts required that exculpatory provisions include the terms “negligence” or “negligent acts” in order to be enforceable. Before it made its way to the Supreme Court, Sanislo resulted in the Fifth District certifying its conflict with the other districts when it rejected the University Plaza requirements. The Florida Supreme Court affirmed the Fifth District’s holding and held that an exculpatory provision is enforceable even if it does not specifically include the terms “negligence” or “negligent acts.” At least for now, the enforceability of exculpatory provisions has been more than marginally relaxed such that defendants in the construction field can apparently – on this rare occasion – breathe a sigh of relief and have a good night’s rest. As further discussed below, indemnification provisions, however, have not been afforded the same reprieve. I/we hereby release Give Kids the World, Inc. and all of its agents, officers, directors, servants, and employees from any liability whatsoever in connection with the preparation, execution, and fulfillment of said wish, on behalf of ourselves, the above named wish child and all other participants. The scope of this release shall include, but not be limited to, damages or losses or injuries encountered in connection with transportation, food, lodging, medical concerns (physical and emotional), entertainment, photographs and physical injury of any kind. . . .
I/we further agree to hold harmless and to release Give Kids the World, Inc. from and against any and all claims and causes of action of every kind arising from any and all physical or emotional injuries and/or damages which may happen to me/us. . . .
Mrs. Sanislo was injured when the family used a handicap lift as a platform for a photo and sued Give the Kids, which claimed that the exculpatory clause in the agreement barred the Plaintiffs’ negligence claims. At the trial court level, the Sanislos and Give the Kids filed opposing motions for summary judgment on whether the exculpatory clause at issue barred the Plaintiffs’ claims. The Sanislos argued that their claims were not barred because exculpatory provisions are similar to indemnification provisions and therefore must specifically mention “negligence” to be enforceable. Give the Kids countered that because its release reasonably informed the Sanislos of the rights they were waiving, the exculpatory provision was clear and unequivocal and thus enforceable. The trial court agreed with the Sanislos and awarded damages in their favor. Give the Kids appealed the trial court’s decision to the Fifth District on the grounds that the release was unambiguous and did not contravene public policy. The Fifth District agreed and reversed the denial of summary judgment. It reasoned that the provision releasing Give the Kids for “any and all claims and causes of action of every kind arising from any and all physical or emotional injuries and/or damages which may happen to me/us” – even without inclusion of the terms “negligence” or “negligent acts” – was clear and unequivocal enough to ensure the Sanislos understood what claims were covered under the release. Public policy in Florida disfavors exculpatory provisions because they tend to relieve one party from the obligation to use due care and shift the risk to the party who is presumably least equipped to take the reasonably necessary precautions to avoid injury; however, the Fifth District did not think the exculpatory language would be lost on a person of ordinary intelligence. The Sanislos appealed the Fifth District’s decision to the Florida Supreme Court, again arguing that exculpatory provisions are similar to indemnification provisions and should therefore require specific “negligence” language in order to be enforceable. Give the Kids argued that the terms “negligence” or “negligent acts” were unnecessary because (1) the language was not unclear, (2) the exculpatory clause’s language would be rendered meaningless if found ineffective, (3) indemnification agreements and exculpatory provisions serve different purposes and allocate risks differently, and (4) the Sanislos’ argument had been rejected in other states. Interestingly, the Court relied upon its previous holdings regarding indemnification provisions to reject the Sanislos’ argument. For instance, in University Plaza Shopping Center v. Stewart, the Court held that an indemnification provision seeking to cover the indemnitee’s own negligence must contain specific language to that effect. Six years later, in Charles Poe Masonry, Inc. v. Spring Lock Scaffolding Rental Equip. Co., the Court applied these principles to situations where an indemnitor and indemnitee may be jointly liable for a plaintiff’s injuries. Later, in Cox Cable Corp. v. Gulf Power Co., the Court reaffirmed its holding in Charles Poe Masonry, Inc. finding that, regardless of potential fault between the parties, an indemnification provision that purports to provide an indemnitee with the right to seek indemnification for its own negligence must specifically identify that intent. In Sanislo, the Court found that exculpatory provisions differ from indemnification provisions because exculpatory provisions limit a party’s right to recover under an agreement while an indemnification provision creates a right for the indemnitee to claim reimbursement from the indemnitor. Based on this material distinction, the Court held that the stated requirements in University Plaza, Charles Poe Masonry, and Cox Cable Corp. did not apply to exculpatory provisions. Exculpatory provisions are not “ineffective simply because [they do] not contain express language releasing a defendant from liability for his or her own negligence or negligent acts,” held the Court. The Court’s holding in Sanislo is consistent with the majority of jurisdictions that have rejected the requirement for specific “negligence” language in exculpatory provisions, notwithstanding the general policy considerations that disfavor such agreements. The Sanislo opinion, as mentioned above, will likely impact construction cases in addition to personal injury claims. For example, many construction companies lease equipment for a project. These leases often contain exculpatory provisions allowing the lessor to avoid liability for its own conduct that may damage the lessee. Under Sanislo, these agreements need not specifically mention the lessor’s negligence so long as it is reasonably clear and unequivocal what claims are barred by the exculpatory provision. If a contractor leases a machine that malfunctions due to the owner’s negligence, claims arising out of that malfunction may be barred by contractual exculpatory provisions. This could function to bar personal injury as well as property damage claims on a construction project. In addition to direct claims, exculpatory provisions could also bar pass-through claims such as common law indemnification, contribution, and subrogation. The Sanislo decision also affects contractual indemnification provisions in the construction industry. Florida Statutes Section 725.06 strictly governs these provisions when they allow an indemnitee to seek indemnification for its own negligence. The statute’s strict requirements are consistent with the public policy that disfavors exculpatory provisions. While an exculpatory provision bars claims for a party’s negligence, an indemnification provision that complies with Section 725.06 allows a party to seek indemnification from another party for its own negligence. A provision that allows an indemnitee to seek indemnification for its own negligence may disincentivize a party from complying with the applicable standard of care. Section 725.06, therefore, makes an indemnification provision void and unenforceable unless (1) it contains a monetary limitation on the extent of the indemnification that bears a reasonable commercial relationship to the contract and (2) is part of the project specifications or bid documents, if any. In Sanislo, the Court reaffirmed its requirement that an indemnification provision providing a right for an indemnitee to seek indemnification for its own negligence must state that intent by use of the term “negligence.” Otherwise, the indemnification provision is unenforceable. Accordingly, it appears that a provision which allows a party to seek indemnification for its own negligence must specifically express the terms “negligence” or “negligent acts,” must include a monetary limitation on the extent of the indemnification bearing a reasonable commercial relationship to the contract, and must include the provision in the project specifications or bid documents, if any exist. It is no secret that contractual indemnification provisions are common in construction contracts. When disputes arise, downstream contractors (e.g., subcontractors, sub-subcontractors, and materialmen) often argue that contractual indemnification provisions are void and unenforceable for failure to comply with the provisions of Section 725.06. Upstream contractors (e.g., sub-subcontractors, subcontractors, and general contractors) and owners, then, often face the incredibly stressful reality that someone may have failed to include a few critical words in the agreement and their negotiating leverage – or worse yet, exposure – is adversely affected as a result. The take-home for the industry is simple, however. While an exculpatory provision need not mention the terms “negligence” or “negligent acts,” indemnification provisions do. Moreover, indemnification provisions must comply with the strictures of Section 725.06. This way, we can all sleep a little better at night. As a postscript, it continues to be advisable to include specific “negligence” language in exculpatory provisions. In other words, it can only help. The authors chose this title based on the acclaimed children’s bedtime book Goodnight Moon by Margaret Wise Brown because this decision should allow contractors to relax and rest easy regarding the nuances of language in exculpatory clauses. No. SC12-2409 (Fla. Feb. 12, 2015) (note: the final opinion has not been released for publication in the permanent law reports and until release, it is subject to revision or withdrawal). Notably, Florida statutes disallow exculpatory clauses in a number of contexts, including when applied to intentional torts, gross negligence, or certain statutory violations. 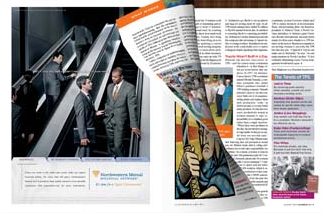 This article focuses only on the exculpation of simple negligence claims. Levine v. A. Madley Corp., 516 So. 2d 1101 (Fla. 1st DCA 1987). Goyings v. Jack & Ruth Eckerd Found., 403 So. 2d 1144 (Fla. 2d DCA1981). Tout v. Hartford Accident & Indem. Co., 390 So. 2d 155 (Fla. 3d DCA 1980). Van Tuyn v. Zurich Am. Ins. Co., 447 So. 2d 318 (Fla. 4th DCA 1984). University Plaza Shopping Center v. Stewart, 272 So. 2d 507, 509 (Fla. 1973). Give the Kids the World, Inc. v. Sanislo, 98 So. 3d 759 (Fla. 5th DCA 2012). Charles Poe Masonry, Inc. v. Spring Lock Scaffolding Rental Equip. Co., 374 So. 2d 487 (Fla. 1979). Cox Cable Corp. v. Gulf Power Co., 591 So. 2d 627 (Fla. 1992). Ivey Plants, Inc. v. FMC Corp., 282 So. 2d 205, 207 (Fla. 4th DCA 1973). Sanislos, No. SC12-2409 at 4. 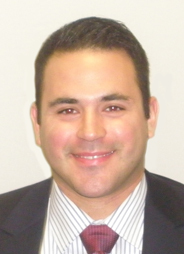 David Salazar is a Partner in Cole, Scott, & Kissane P.A. 's Construction Group at the Miami office. Mr. Salazar is a Board Certified Specialist in Construction Law and has devoted his practice to various areas of construction law including representation of developers, contractors, and subcontractors in construction defect, contract, and lien enforcement claims, as well as design professionals in professional liability claims. Mr. Salazar also writes and speaks on various legal topics in the context of construction law. 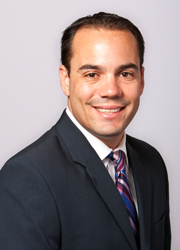 Craig Distel is an Associate in Cole, Scott, & Kissane P.A. 's Construction Group at the West Palm Beach office. Mr. Distel has devoted his practice to various areas of construction including representation of developers, contractors, and subcontractors in construction defect, contract, and lien enforcement claims, as well as design professionals in professional liability claims. Mr. Distel earned his BA in International Affairs from The George Washington University and his JD from the University of Miami.